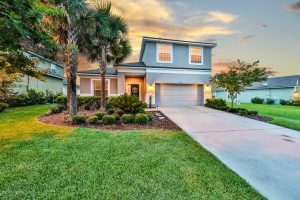 This weekend we have three open house showings, one on Friday on the Southside, and two on Saturday in Middleburg and Mandarin. Please come by and tour these beautiful homes this weekend. We have wonderful agents available to assist you and answer any questions you may have. 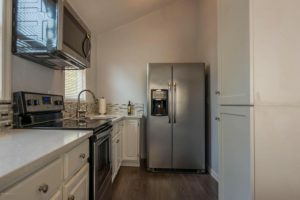 Sip and See” this newly remodeled home in Lakeshore! This gorgeous home on corner lot has two gates (driveway + RV/boat parking). Updated/remodeled and all fenced (front/back), move in ready! Fire pit in the back. Rented security system. Spacious living/dinning room w/plenty of windows throughout. Storm front door. Vaulted/cathedral ceiling in kitchen,granite tops/breakfast bar,stainless steel appliances. Large MB. Window treatments & nice closet space. 2nd bedroom is specious w/ 2 closets. Washer/Dryer hook up space in hallway. Very convenient location, near everything one needs (grocery/pharmacy/restaurants). Near Roosevelt & Blending. Easy and fast access to NAS Jax. Low utility bills. Home Warranty w/accepted offer. Buyer to verify SF. Home Warranty. Come see this stunning like new home that has the right location, spacious upgrades, and community amenities. Plus no CDD fees! Very popular floor plan that includes a convenient 4 bedrooms, 3 bathrooms, a bonus room on the first floor, vaulted ceilings, upgraded flooring, a large loft with desk/library area upstairs, and a kitchen with loads of cabinet space. 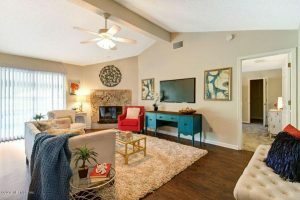 This quiet neighborhood has a club pool, playground, walking paths, and quick access to the Oakleaf Village Shopping and Dining area. Beautiful walking paths with the sunset make the perfect way to end a long day. Come see why so many people are moving to Kindlewood!! Here it is! This 4BD 2BA home has been beautifully updated and ready for you to move right on in! Updated Kitchen featuring new cabinets, granite counters, stainless steel appliances opening up into the spacious great room with fireplace. This home is situated on a cul-de-sac and backs up to pond with a great view. Your friends will love coming over and you’ll love calling this your home. Do yourself a favor and schedule yourself a showing today. Down payment assistance may be available for qualified buyers up to $15,000.00, ask for details.